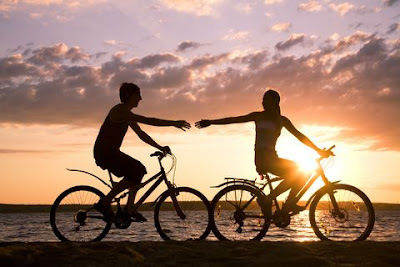 I know that spending time with your better half can be hard and when you do actually find the time the last thing you want to do is to spend and hour umming and ahhing over what you want to do. Me and Mike you to spend hours thinking and bickering because we would both say 'I don't mind'. 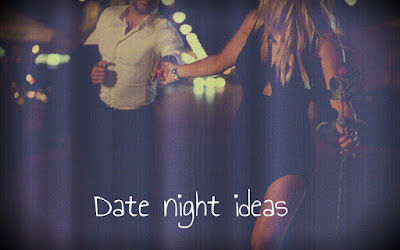 So i have put a list together of few ideas that are always quick and nice to do. 1. Cook a meal together! We have to all admit that there is a teeny tiny part of us that love food!! And I couldn't think of a better way to spend my evening than cooking a big meal with my partner. Buy a load of you both have never tried before and try something new! Admittedly this isn't something I have had the luxury of doing, but I would love to. 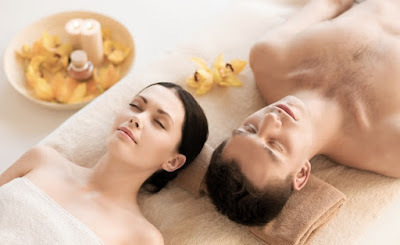 Why not get a couples massage of spend some time together in the hot tub and just let your worries drift away. This would be perfect at the end of a long week. However, should you not be able to afford to go to a spa why not make a pop spa in your front room and enjoy some treatments for free! 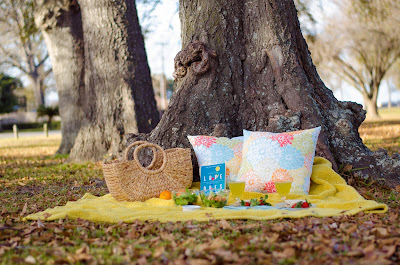 On a nice sunny day why not take a stroll down to the local park enjoy a picnic. Watch the world go by without a care in the world. Alternatively, should I be a horrible rainy day, lay the blanket out on the floor in the front room and scatter some cushions and watch the rain pour with a nice warm cup of tea. This a normal go to idea. But why not grab a duvet some snacks and make a day of it. snuggle up close and watch all the scary movies you can in 24 hours. If your a competitive couple this would be ideal. Go down to your local bowling alley and have a few games. Why not set stakes on who wins and see how creative you can make the evening! The majority of these things I haven't actually done with my partner, so these are some great suggestions. Great concept for a post!